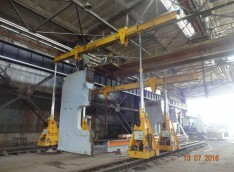 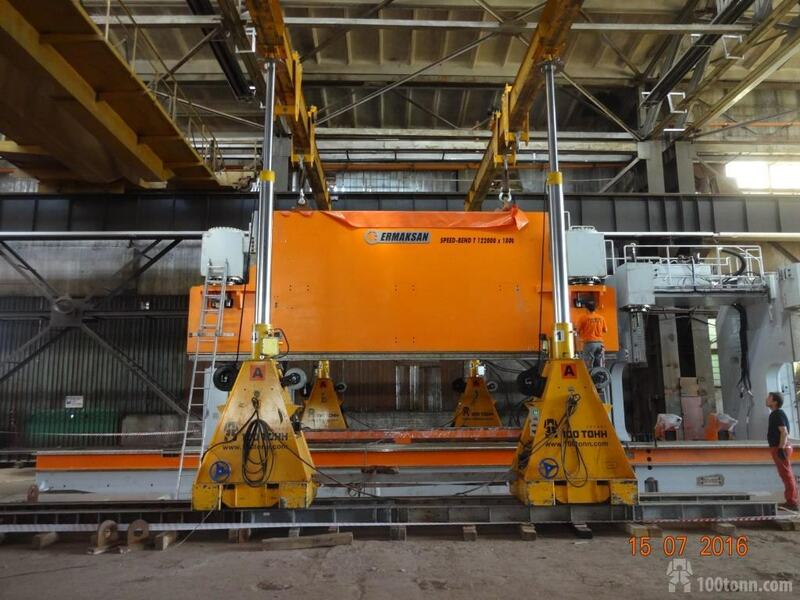 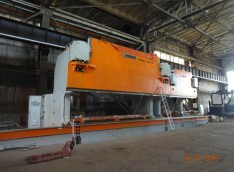 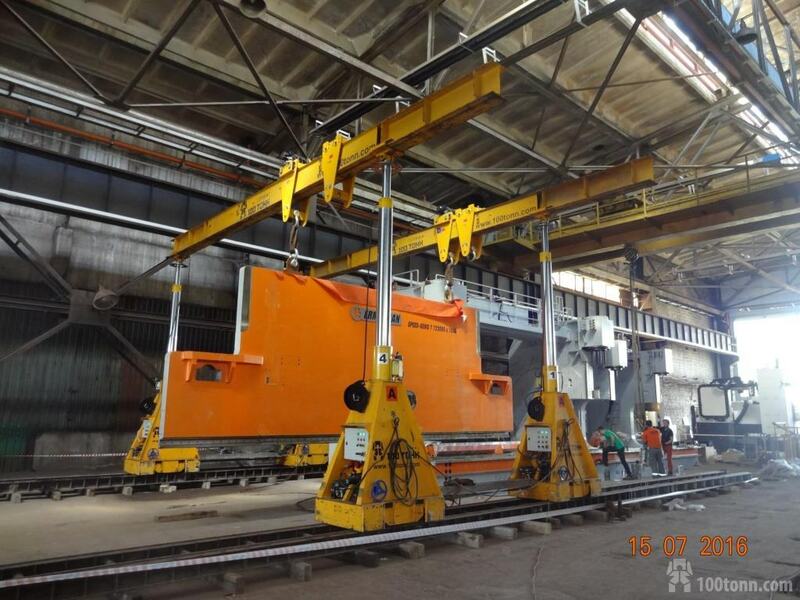 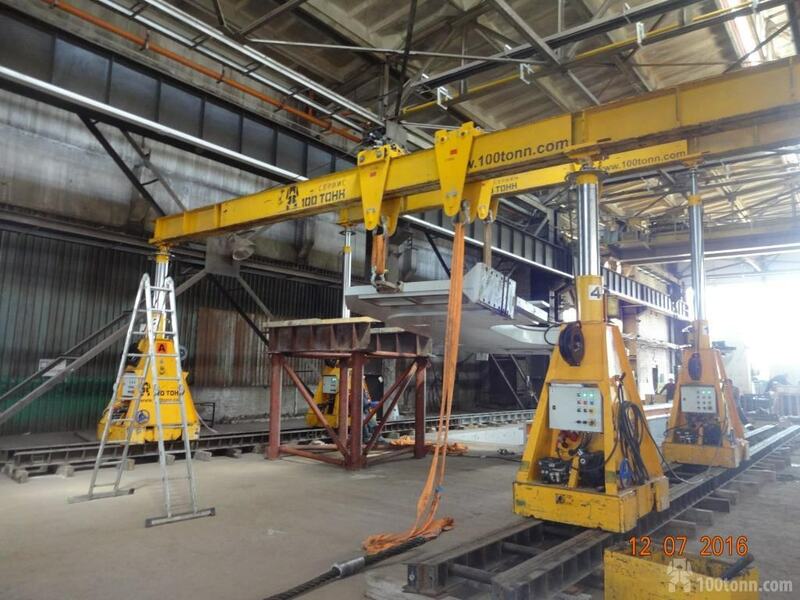 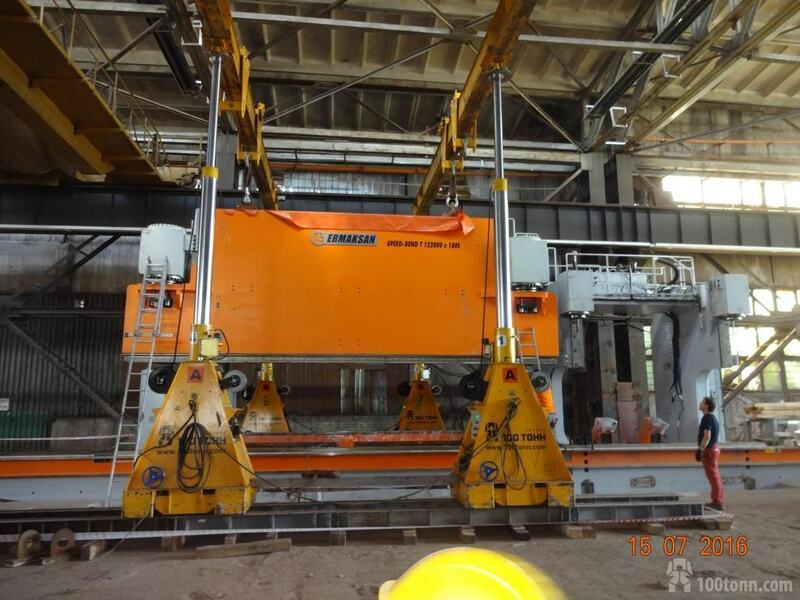 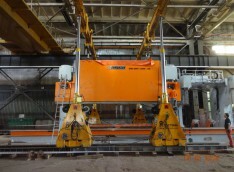 Within the period from July 11 to July 15, 2016 on request from RUSKOMTRANS Commercial Transport Plant, our Company (100 TONN MONTAZH) shifted a 170-ton ERMAKSAN bending press (manufactured by ERMAKSAN, Turkey), unloaded it and assembled it element-by-element. All the press parts were transported to the installation site with the help of a 40-ton-capacity rigging trolley. 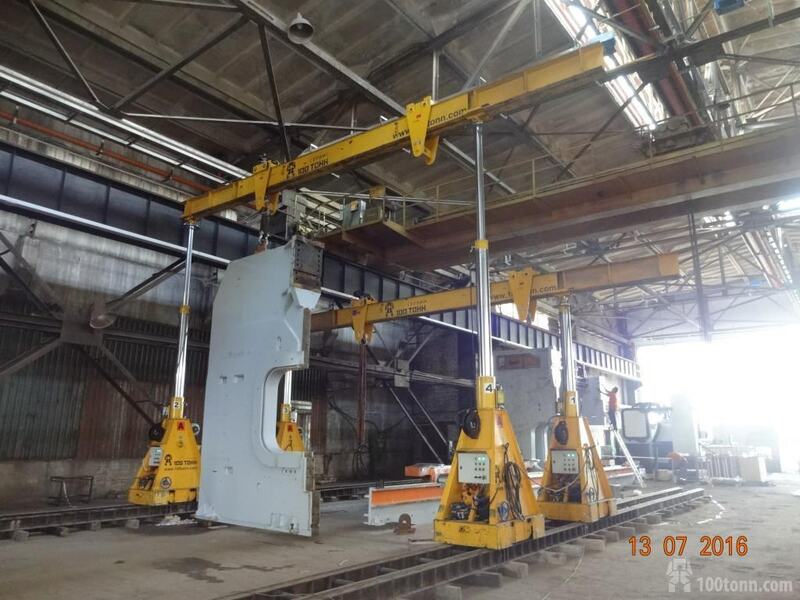 Due to the use of a 125-ton-capacity GP125 hydraulic gantry system the bending press assembly was completed ahead of the schedule approved by the equipment manufacturer.